Towne Square Apartments provides one- and two-bedroom floor plans with elegant features such as front and back patios, large closets, and updated kitchens. Select apartments feature lake views, rock fireplaces, tile entryways, crown molding, and a built-in storage or office nook. 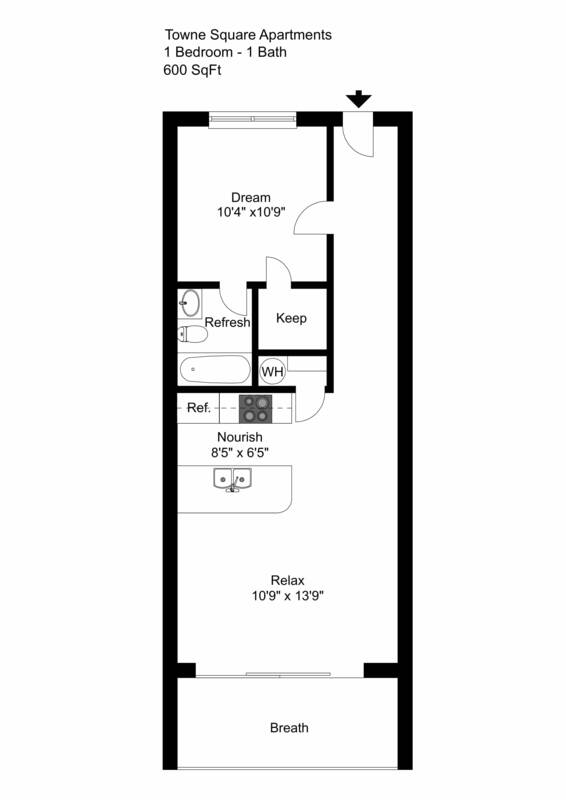 This cozy floor plan has 600 square feet of living area. The bedroom includes a walk-in closet and bathroom. The galley-style kitchen features ceramic tile countertops, overlooks the dining area, and includes a pantry closet. Enjoy a terrific lake view on the large back patio. 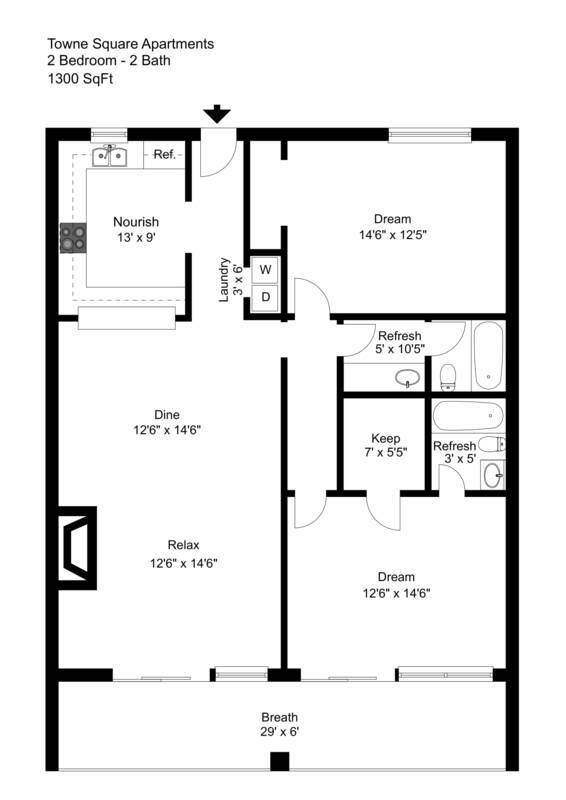 Get 1,300 square feet of living space in this two-bedroom, two-bathroom apartment. This floor plan includes a U-shaped kitchen, an open living/dining area with rock fireplace, a master bedroom with walk-in closet and en suite bath, and a large guest bedroom and guest bath. Complete with an oversized back patio with breathtaking views that accesses to the living room and master bedroom this floor plan is perfect for a day of relaxation. 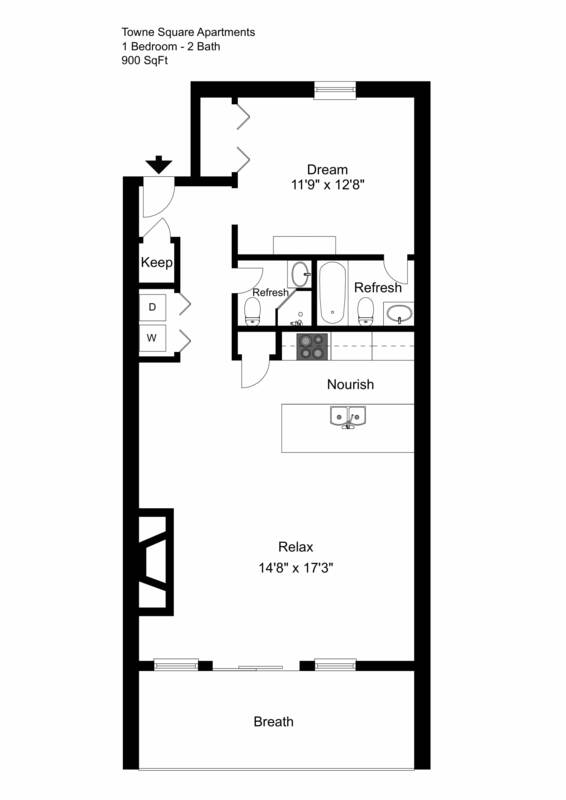 This floor plan has 1,000 square feet of living space. 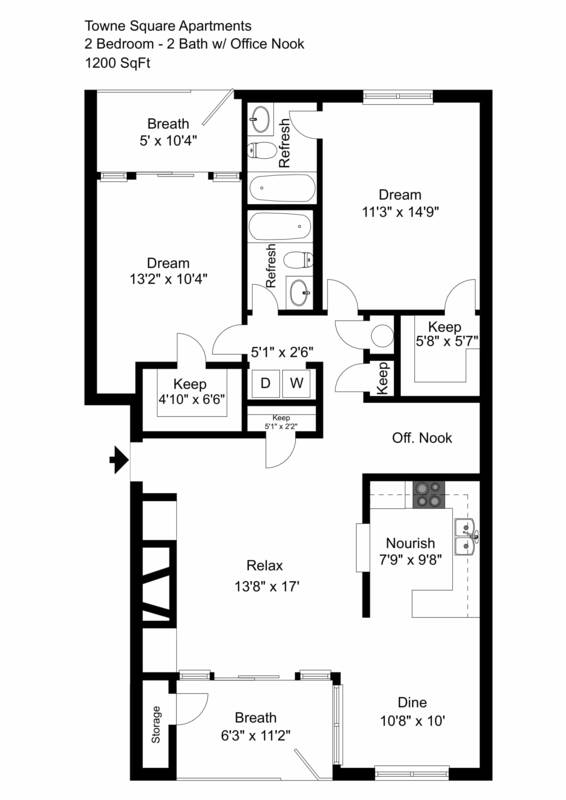 The bedroom includes a walk-in closet and private bath access with dressing area. The flex room has two french doors that open up onto the living room, giving it the ability to be used as a formal dining room, home office, or a guest bedroom. The L-shaped kitchen includes a breakfast bar. A large patio includes fabulous lake views and an outdoor storage closet. Get ample space in this 1,200-square-foot apartment. 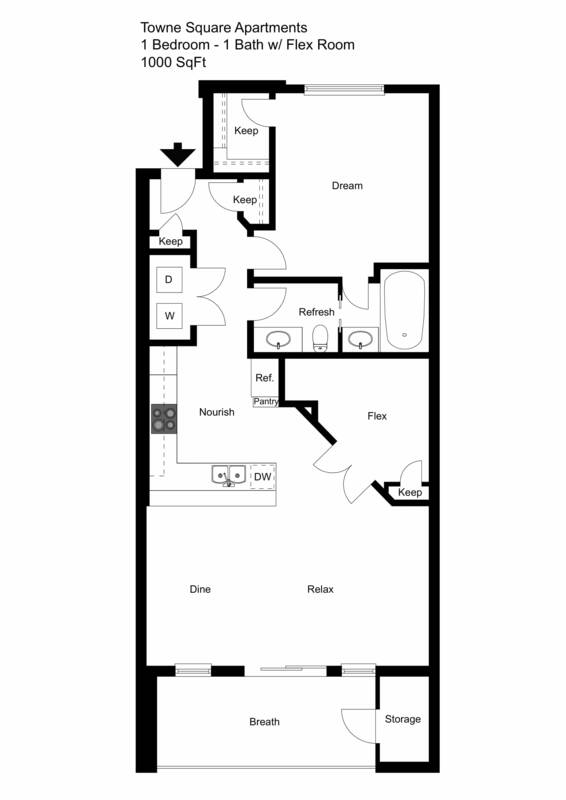 This floor plan features a master suite with walk-in closet and private bath and a guest room with walk-in closet and private patio. The U-shaped kitchen opens to a dining area with big bay windows. Just off of the open living room with fireplace is an office nook. This 900-square-foot apartment has a large bedroom with en suite bath, a guest bath, and a galley-style kitchen with pantry. The open living area includes a fireplace.